With expert trussing, your rental lights, video, and sound gear will help you resonate with your audience and ensure that your message is heard loud and clear. Whether you're planning an indoor corporate gala, small family reunions, or huge outdoor trade show, making sure your have professional trussing and rigging can make all the difference. 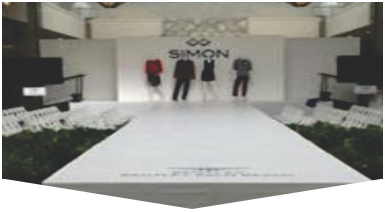 Our award-winning event production company has been a leader in the South Florida since 1996 for event production equipment rentals, planning, and services. We can be sure to test each piece of gear before sending it to your venue for a speedy set-up. 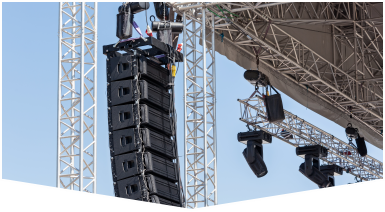 As certified JBL and DAS retailers, our team can even offer affordable sales and rentals for these trusted sound equipment manufacturers. Our event staff can even stick around to monitor, run, and offer support for your trussing rental. 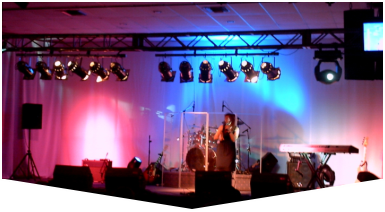 We can make sure you have the right amount of the best kind of lighting and sound, in just the right places to capture the attention of your audience, enhance the atmosphere, and add a touch of professionalism. We have plenty of options for video, lighting, sound, and custom design staging that can be tailored to your theme and venue specifications. We can work directly with you to develop a plan that works to your budget, timeline, and exceeds your expectations. Call Master Sound Productions, today for a FREE quote.